This face wash with Sea Buckthorn oil, Aloe Vera and Roman Chamomile will help gently cleanse your skin without drying it out, leaving it feeling soft and nourished. The Roman Chamomile contains natural anti-inflammatory properties which will calm and soothe sensitive and irritated skin. Sea Buckthorn oil: known for its anti-ageing and cell regenerating properties, it contains an abundance of bio-active components, making it rich in natural minerals and vitamins. Its properties help to revive, renew, replenish and protect the skin. Sea Buckthorn has a natural antibacterial action and has 6 different fat soluble vitamins, 22 fatty acids, 42 kinds of lipids and 36 kinds of flavonoids. It is a rich natural source of vitamin A (Beta Carotene) and Omega 7. Aloe Vera: known for its natural soothing, healing, restoring and regenerating effect on the skin. Applied topically it is beneficial in treating the following conditions: skin irritations / burns / scalds / sunburn / wounds / eczema / psoriasis / acne / dermatitis / ulcers. Aloe Vera also helps stimulate cell regeneration. Roman Chamomile: soothing, calming with natural anti-inflammatory properties. Directions: Wet face then apply two or three pumps of facial cleanser to fingertips and massage into face and neck, then rinse with cool, clean water. Please note that this product does not foam up. Safety: Do not use if pregnant, due to the pure essential oils used in this product. Naturally active ingredients: Aloe Vera, Sea Buckthorn oil, Roman Chamomile. 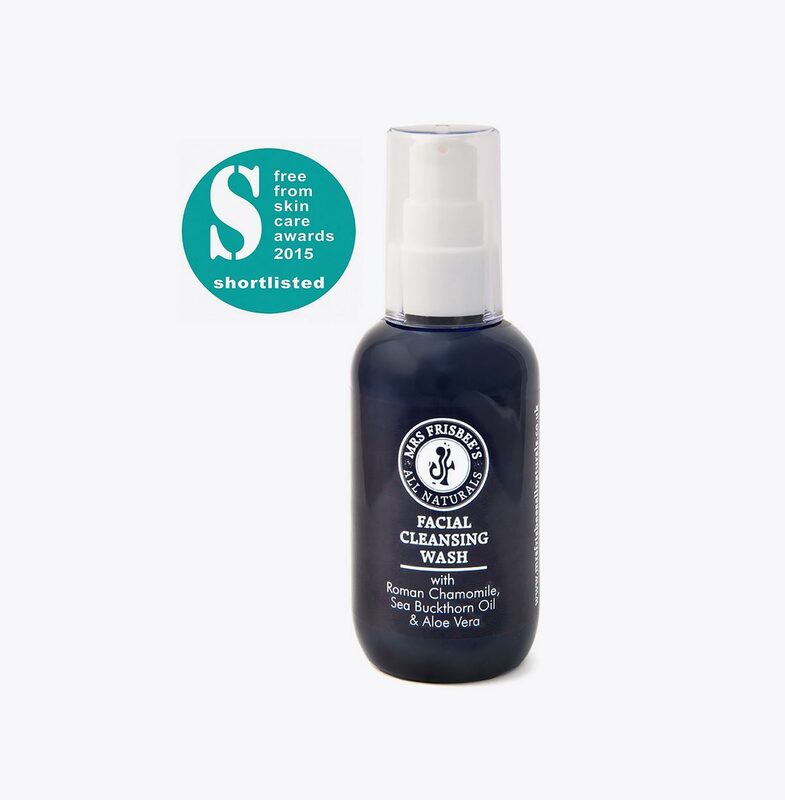 This soothing and calming Roman Chamomile face wash is especially good at gently cleansing skin without drying it out. 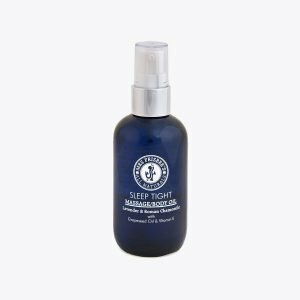 This is due to the addition of the active ingredients of sea buckthorn extract, aloe vera, soap bark extract and Roman Chamomile pure essential oil. 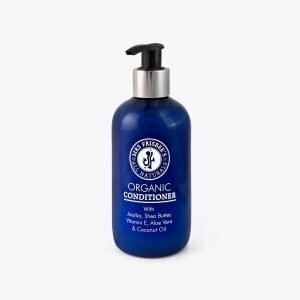 Most noteworthy, these natural ingredients have anti-inflammatory properties which will help calm and soothe sensitive and irritated skin, therefore leaving it feeling moisturised, hydrated and silky smooth. Roman Chamomile – soothing, calming and healing, with natural anti-inflammatory properties. Sea Buckthorn – known as the new ‘Wonder Berry’ due to its health benefits and anti-ageing properties. Sea buckthorn has a unique composition of vitamins, minerals, nutrients and essential fatty acids, including Omega 3, 6, 7 and 9. Also known for its wonderful skincare properties. Most noteworthy for healing, rejuvenating, anti-ageing, reviving, renewing, replenishing and protecting. Aloe Vera – soothing, healing and cooling, with natural anti-inflammatory, anti-microbial, anti-bacterial and anti-fungal properties. Furthermore it is known to help promote cell growth and aid healing. Soap Bark Extract – this is a natural foaming agent which comes from the soap bark tree. 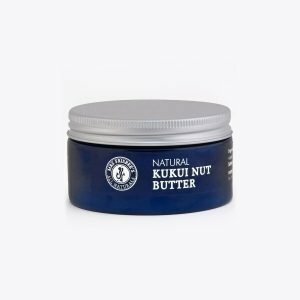 Also known for its moisturising, soothing, and anti-inflammatory properties. Directions: Wet face then apply two or three pumps of face wash to fingertips and massage into face and neck. Rinse with cool, clean water. Please note that this product does not foam up. 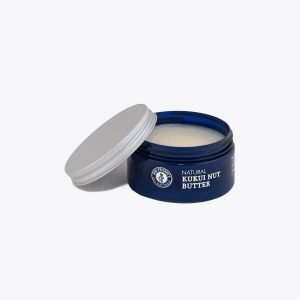 My absolute go to product, and works well on my sensitive skin. Mrs Frisbee’s products are the only products that I actually pay for. Because of my job I receive a constant supply of free cosmetic products and gifts from other companies, but nothing compares to Mrs Frisbee’s products, they really seem to suit my sensitive skin. I have only tried this a couple of times but so far so good. It appears to suit my very sensitive skin which is good. Yes, can recommend. Seems really good on sensitive skin and cleanses well plus smells lovely. Def use and recommend to others to try. Love this product. I have been using this for years.